Hasn't time flown?! I can't believe it's June already! 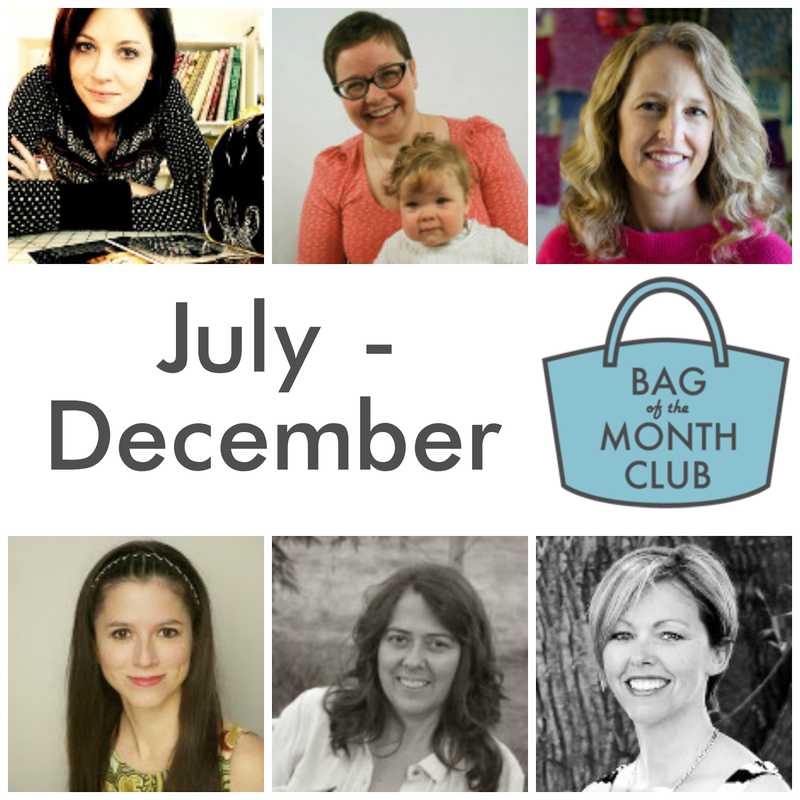 Even better than that, all six bags from the current Bag of the Month club have been revealed, and beautiful versions are popping up in all of my social media feeds! January saw Betz reveal the Backgammon bag, a lovely make to ease us into the year! February it was my turn, and I designed the Window Shopper tote, large and unashamed! March was Sara's Polaris bag, two small bags, perfect for those days when you don't want to carry the world. May was Alicia's month, and she released two sizes of the Brooklyn bag, with vinyl accents to give us something to get our teeth into! June, our final month we had our big finale, with Christine releasing the Lunar Collection in three sizes. If you'd like to own all 6 of these Bag of the Month club patterns, you can still buy the club up until Midnight (BST) on 30th June. You'll get all six for the club price of $40. I know, I sound like an infomercial. I'm sorry! We've released BOMC 2.0! You can now buy the July - December club for the early bird price of $35 until Midnight (BST) on 30th June! The price will go back to the regular $40 after that. July - December will run pretty much the same as January - June. You'll receive one brand new, exclusive club pattern every month from July - December inclusive. If you'd like to join the Bag of the Month club 2.0, you can find the early bird price here. Don't forget it goes back up to $40 after Midnight (BST) on 30th June!